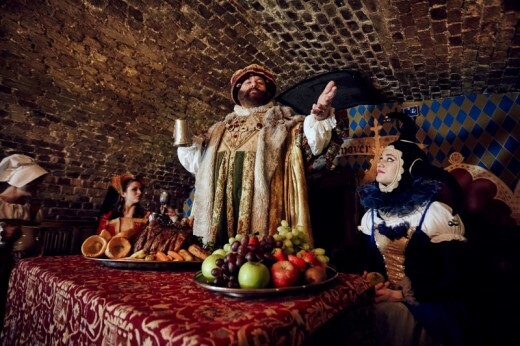 Imagine going back in time and joining King Henry VIII and his special guests for a truly regal banquet. 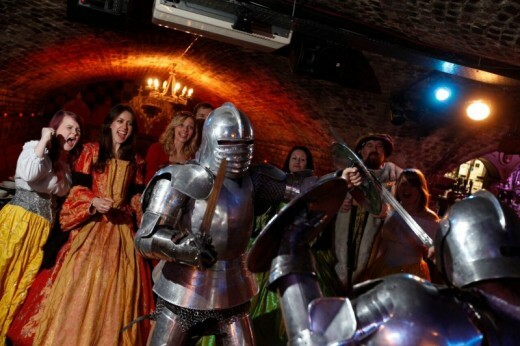 Enjoy live entertainment, from duelling knights to an authentic cellar just minutes from the Tower of London. You will be treated to a four-course banquet and a show including wine, ale and soft drinks throughout the meal, and festive music and dancing into the late hours of the night. 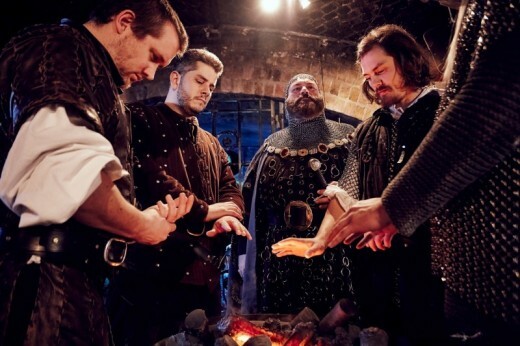 This Medieval Banquet is sure to be a night to remember! 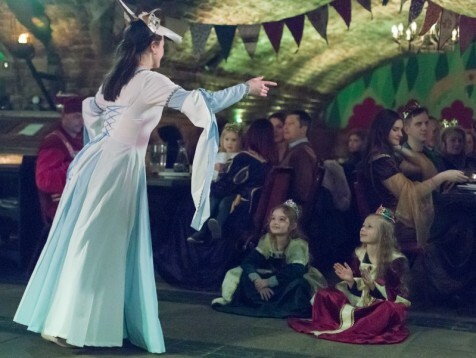 The Medieval Banquet London experience will give you the opportunity to experience the bygone times of the regal medieval banquet. 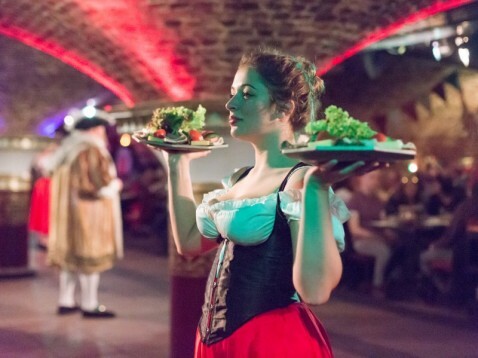 Down in the cellar dining hall, just a stone throw away from the Tower of London, you will be captivated and entertained by the strolling players, jousting knights and the riotous atmosphere. Wine, ale and soft drinks are included throughout the meal, over two hours of themed entertainment and music and dancing until the end of the night! You should request any special needs or vegetarian options when redeeming your voucher. There are no other specific restrictions. This experience is not weather dependent as it takes place indoors. The Medieval Banquet London will last up to four hours. This voucher is for one person. Additional guest vouchers may be purchased as the venue holds up to 420 people. Spectators unfortunately are unable to join you, but due to the number of participants this venue allows, we should be able to book in additional guests! There is no specific dress code, but feel free to get into the spirit of the evening by wearing fancy dress, this is of course optional. However, you can rent costumes and buy crowns and hats from us! 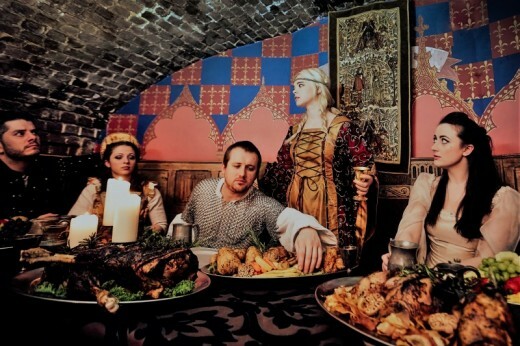 The Medieval Banquet is available on: various dates throughout the year. Please contact us before purchase to check availability. You should book your required date at least two weeks in advance. I would definitely recommend dressing up, it made the whole night even more of an experience and i felt amazing in my dress! Have already booked in for my next visit as i have my eye on a fantastic costume, Excited already! what an absaloutely crazy yet fantastic night! the people that worked there played such good characters and most of them were completely mental haha, really made my night i was so impressed. We ate so much food and drunk alot of wine it most definitely was a banquet fit for a king! 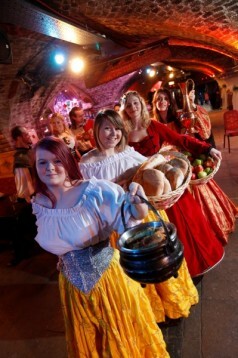 The Medieval Banquet won't be running during our Christmas season (28th Nov - 21st Dec) and New Year's Eve. You should book your required date at least two weeks in advance. You should request any special needs or vegetarian options when redeeming your voucher. There are no other specific restrictions. Do you need any help with this gift idea, The Medieval Banquet London?